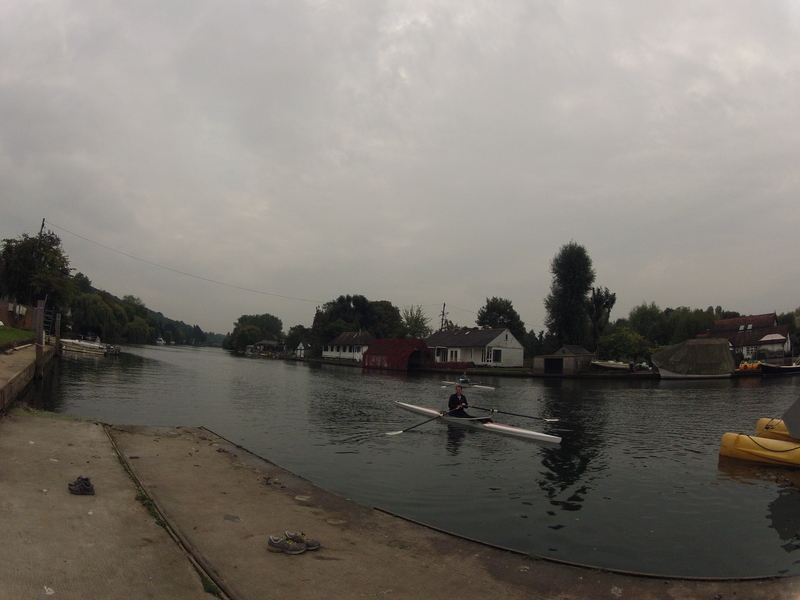 Sarah and Lizzie are now into their third week of the Henley Rowing Club ‘Learn to Row’ course, led by Coach Bethan. As newbie rowers, they certainly have a lot to learn and the time they spend together is great for building the team spirit as well as gaining new skills, and getting fit. The girls are training together twice per week, once on the water, and once on the ergos at the rowing club under the guidance of Bethan. Outside of this, the whole team are following a strict training programme which will help to build up both mental and physical tenacity ready for the endurance of rowing 15 hours per day over 8 months, whilst they row the Pacific Ocean. This includes core body strength, cardio work, resistance training, and flexibility. So far, the girls have managed to stay dry during the water based sessions, though this won’t last much longer, as they will soon be graduating from the training single scull boat to an even more wobbly single boat. For their first water based session, the boat was attached to a rope with a guy named Matt at the other end of it, offering words of encouragement and reassurance as they giggled and somehow managed to stay afloat. Today they were off the rope, and given a stretch of the river to play about on, in between sessions on the fours boat with the other men and women on the course, all of whom are of different ages. Suffice to say, the girls are absolutely loving the course, albeit interspersed with much frustration at not being proficient rowers quite yet. With the two new girls for the team, as well as bird Kate all being experienced rowers already, Lizzie and Sarah now have some catching up to do, though thankfully, the kind of skills needed to row an ocean boat are quite different to river rowing boats, so at least they are all on the same level when it comes to that side of the training. 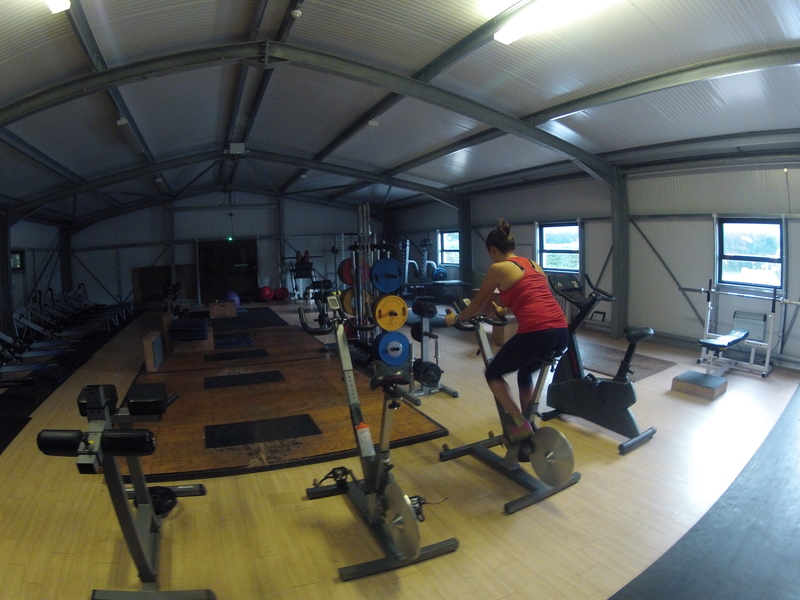 Keen to work as hard as they can on their fitness, the girls are now running from home to the rowing club, doing a warm up session on the bike, and then doing their ‘Learn to Row’ session with Coach Bethan. But the highlight of today’s training session had to be Lizzie rowing along at great speed, and then spotting the bottom of a young swan which had its head under the water. Lizzie then trying to shout at the swan to move, which for some reason it didn’t, and the swan rearing its head just as Lizzie managed to avoid it as it flew out of the way. Not sure who was most startled, Lizzie or the swan, but everyone watching was in stitches! Such a typical Lizzie moment!